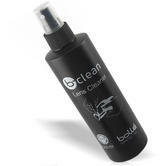 B-Clean by Bollé Safety is a complete and efficient cleaning solutions range. Alcohol and silicone free, its aqua formula guarantees perfect cleaning and protection for your glasses and goggles. Weight: 520gB-clean products are certified by COLTS laboratory. The regular use of this product reduces dramatically the fogging build-up on your lens.